The report of about 400 pages, and hundreds of pages of supplementary material, was given to Attorney General Barr on March 22. 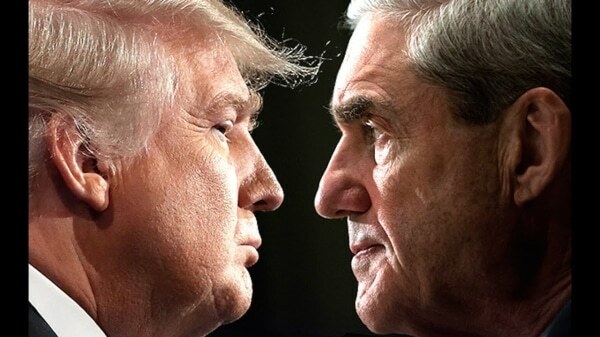 Trying to protect Trump, Barr set aside the Mueller team’s summaries and published a four-page letter on March 24 which declared no conspiracy between the Trump campaign and Russian officials, and quashed any criminal proceedings against Trump over obstruction of justice. Barr missed an April 2 deadline to turn over copies of the report to Congress. He says he will provide them by mid-April, but with redactions — including under a sweeping clause covering “third parties” not connected to criminal investigations. Still, even the redacted material could have substantial evidence about the Trump campaign’s connections with the Russian interference in the 2016 election, and about Trump’s attempts to halt the investigation. The Trump camp appears to be preparing an assault on US agencies as well as the Democrats if and when the report is made public. Attorney General Barr assisted the effort last week with the declaration that the FBI was “spying” on the Trump campaign. Trump then went after the Democrats, saying that their pursuit of the “big scam, big hoax” is “actually treason”. “People who know” Trump say he is also pursuing inflammatory diversions. One of these was his declaration last weekend that the Administration will send detained immigrants to “sanctuary cities”, a proposal already rejected by his agencies. Either from confidence or from deference to Trump’s aggressive tactics, the White House have only a skeleton plan for any release of the redacted Mueller Report. Aides said staff will speed-read, skipping sections on potential criminal conspiracy to focus on obstruction of justice and any consideration of Trump’s private conduct. White House Counsel Emmet Flood will brief Trump on the findings.